Imagine a world of Gatsby-esque glamor, opulence, and cultural prestige, of exclusive parties and elegant dinners, of literary luminaries including Somerset Maugham, Daphne du Maurier, Irving Stone, and Theodore Roethke, of Manhattan townhouses and country estates. This is a world where children are raised by nannies, tutors, chauffeurs, gardeners, butlers, maids, and assorted staff, sent off to private schools-and largely ignored by their parents. Publishing magnate Nelson Doubleday's daughter, Neltje, was raised to assume her place as a society matron. But beneath a seemingly idyllic childhood, darker currents ran: a colorful but alcoholic father whose absences left holes, a mother incapable of love, a family divided by money and power struggles, and a secret that drove the young woman into emotional isolation. 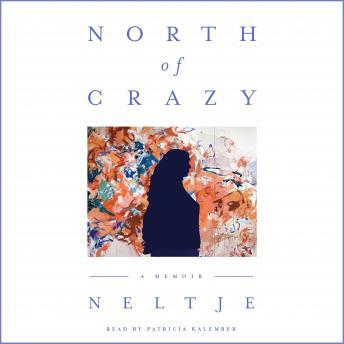 North of Crazy is her story-written with the same fierce passion, wit, and emotion that drove her off the conventional path to reconstruct her life from base zero. She became an artist, cattle rancher, and entrepreneur.